Yippee for Friday…which couldn’t have come around quick enough! I’ve been hit by a totes annoying cough along with a lovely bout of sinusitis thrown in for good measure, seriously my face feels like its been punched by a whale. If only snot could be weighed in pounds, I think I would have lost half a stone this week…now there’s a pretty picture for you. But sadly this means that I will be restricted when it comes to my screaming “I love you Nick” and singing like my life depends on it when I see the Backstreet Boys in concert tonight… my friends however will be relieved. I’ll just have to lob my bra at the stage instead. Joke. 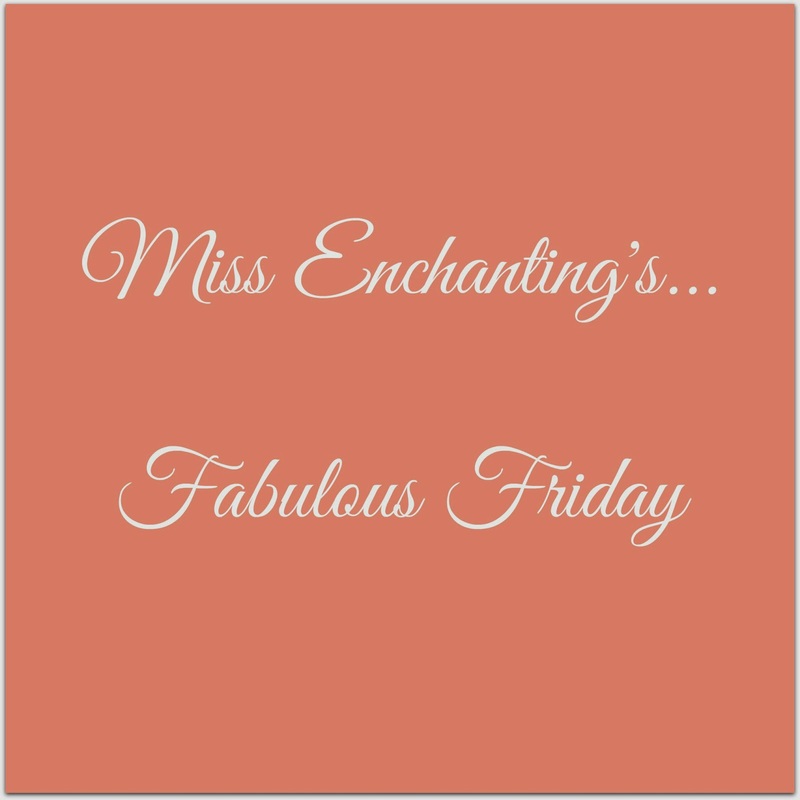 But as always, there have been a few things that have put a smile on my face this week as I’ve been dosed up to the eyeballs and surrounded by snot ridden tissues…Happy Fabulous Friday everyone! I’ve confessed my slight obsession with The Saturdays before, (I still haven’t got over the fact that I bumped into my idol, Mollie, which you can catch up on here) and this week the band made an exciting announcement…a Greatest Hits Tour later this year! Whoop whoop! I can’t wait, but I’m hoping this isn’t some sort of farewell tour as it means my chances of becoming their sixth member are even less likely…sad times. Roll on September….you can see my all time favourite Saturdays anthem here! 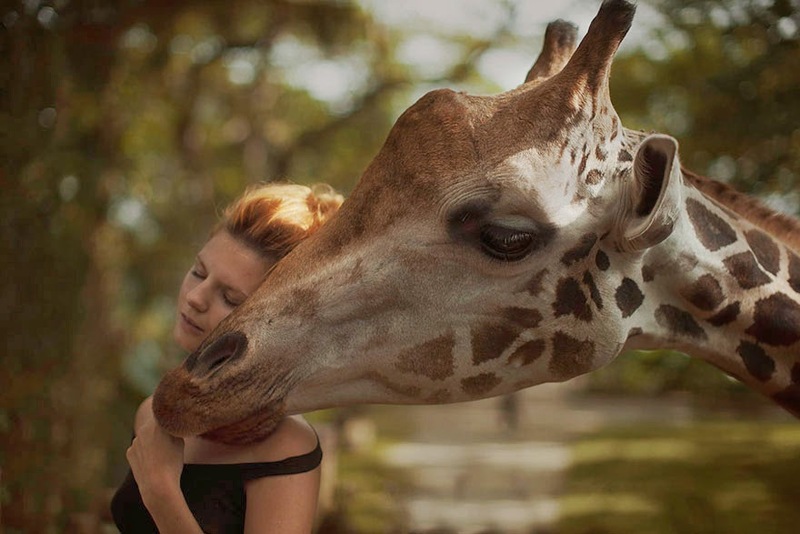 How beautifully breathtaking are these photographs taken by Russian photographer, Katerina Plotnikova? 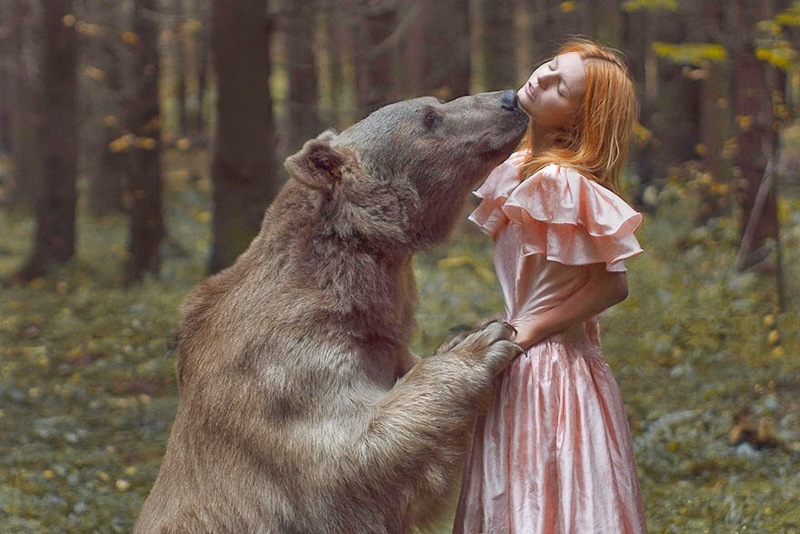 These are actually shot using real live animals, but don’t panic they didn’t just mosey on through a forest and hope they’d run into a friendly and obliging bear, two professional animal trainers were on hand just in case things got ugly. More to the point, how amazingly brave are the models? Not too sure I’d fancy my chances having a deadly snake wrapped around my head…click here to see even more of these mind-blowing creations. After revealing Mum’s rebellious side this week, I then received an email from my Nanna with a link to a video that is apparently “hilarious and a little naughty!” Well thank you Nanna, it did make me chuckle. I wonder what the women in my family will surprise me with next…? 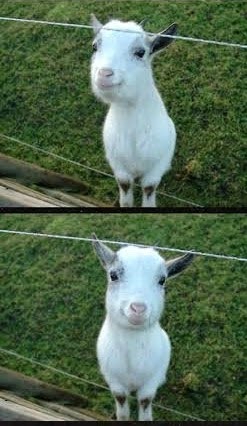 How cute is this goat? He has definitely put a smile on my face this week…I want to keep him…!